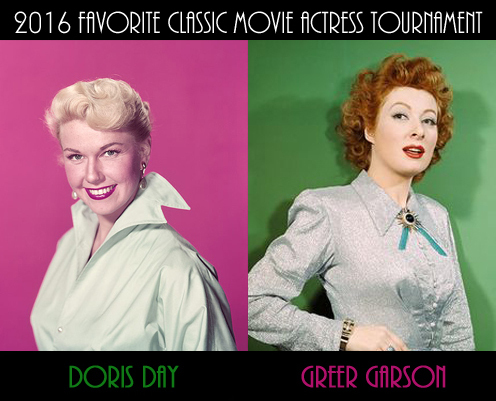 Doris Day and Greer Garson have been named co-champions of the 2016 Favorite Classic Movie Actress Tournament. I'll let the tourney's founder, Monty, explain (here). There were more than 1800 votes cast over the last four days. 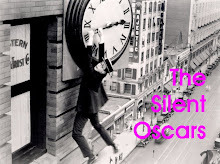 Day and Garson join previous winners Irene Dunne, Ginger Rogers, Carole Lombard, Bette Davis and Natalie Wood. Congratulations to two wonderful actresses and their devoted fans! 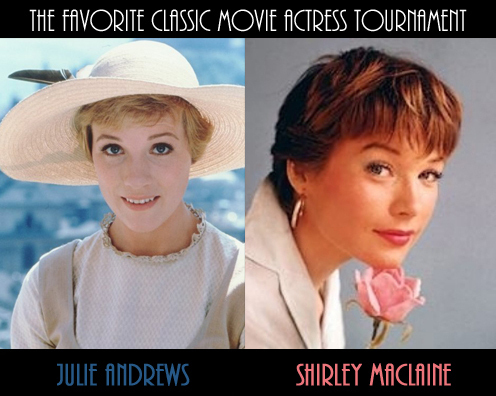 The Final Four of the 2016 Favorite Classic Movie Actress Tournament is underway. Myrna Loy (1930s) versus Doris Day (1950s) in one semi-final, Greer Garson (1940s) versus Julie Andrews (1960s) in the other. 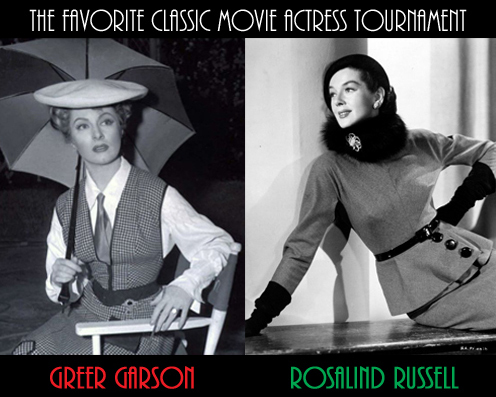 The top two seeds in the 1940s bracket, Greer Garson and Rosalind Russell, have sailed into the final, each hoping to advance to the Final Four of the 2016 Favorite Classic Movie Actress Tournament. Voting runs all week until Saturday morning. 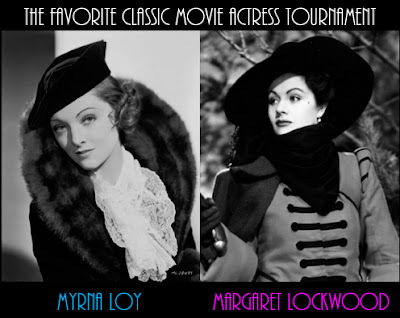 To vote for the 1930s bracket (Myrna Loy v Margaret Lockwood), click here. 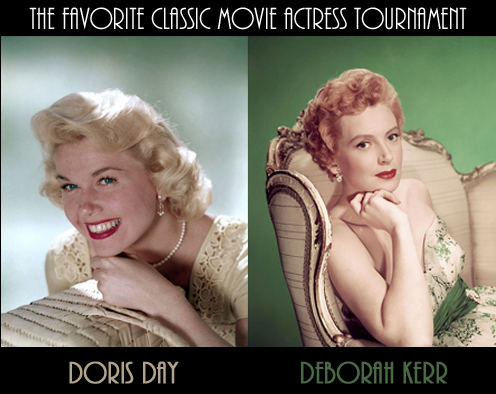 To vote in the 1950s bracket (Doris Day v. Deborah Kerr), click here.